Last night, BBC’s The One Show included a segment investigating "why 70,000 disabled children are waiting for the right wheelchairs". This question had been prompted by a recent advertising campaign by Whizz-Kidz, a charity dedicated to supporting disabled young people’s independent mobility. The story of the charity’s new cinema advert – produced pro bono by The Red Brick Road – had been sold-in by the creative agency’s PR, Sputnik Communications. Whilst the BBC could not show the advert without context on their programme, it inspired the broadcaster to build a working feature around it: they bought into the wider story of the current state of NHS wheelchair provision. PR manager Rob Dyson and director of communications Mark Robertson had to act quickly and work hard to provide the BBC with all the components for the piece. Ruth Owen, CEO of Whizz-Kidz, was to be interviewed – and a family that the charity had provided equipment for featured. Families had to be rung and briefed, in the race to find the right ‘case study’ for the show; extra footage had to be sourced (with clips from the cinema advert and a current consultancy project around the accessibility of Exhibition Road making the final edit); Ruth needed to be briefed before her interview; the studio had to be briefed on additional facts and information for the interview that closed the feature. Because of BBC guidelines around impartiality, the charity only received one direct mention during an interview at the end of the segment. It was, in Rob’s words, "a fair amount of work"; was this effort worth it? 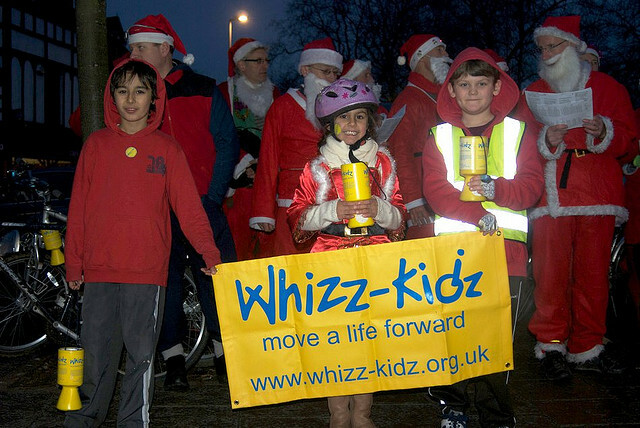 Although Whizz-Kidz themselves were only mentioned once, they’ve already taken donations and phone-calls, including one from a wheelchair-using motivational speaker, who is keen to work with the charity on PR and empowering kids. They’ve received great publicity, and brought attention to an issue that many people aren’t even aware exists: another guest on the show admitted that it was “the first time” he’d heard about the problem. Rob also trailed the charity’s appearance on the programme on social media – which sparked a flurry of retweets, and proved a real conversation-starter on Whizz-Kidz’s Facebook page. Oh, and they’ve received five donations in less than 12 hours – one alone worth £16,000, and another £6,000. Three minutes of national airtime combined with a hands-on social media strategy is paying off.